Located close to local shops and schools is this three bedroom modern semi detached house with off road parking, gardens to both sides and garage. The house also has double glazing and gas central heating. Accommodation comprises, entrance hallway, lounge, dining kitchen, three bedrooms and bathroom. 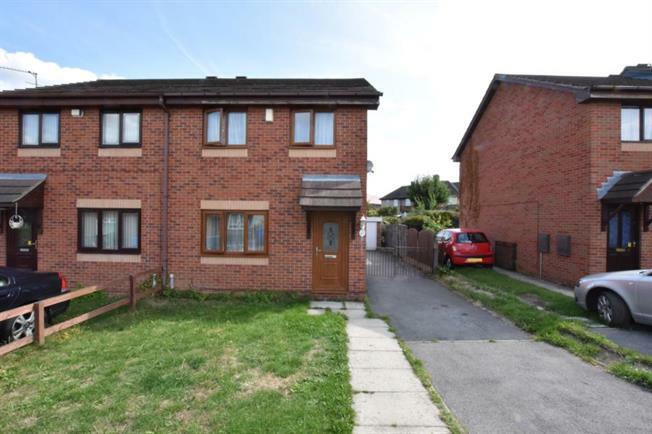 The property may be of interest to a growing family or young couple looking to get on the property ladder. Viewing by appointment through the agent.